I am a professional dancer and instructor. Trained in Jazz, Contemporary, Ballet and Bharatnatyam. I started my training in Jazz and Contemporary dance with Ashely Lobo at The Danceworx Performing Arts Academy in New Delhi. As a part of the repertory company for 2 yrs I taught both kids and adult classes. I have also traveled across Europe performing various musicals over the years. 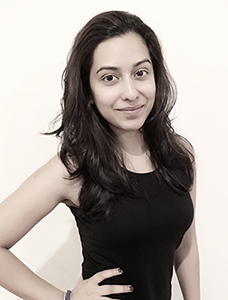 My thirst to constantly grow and excel as a dancer made me move to the US to train under Shaira Bhan, founder & creative director of Dance Identity where I specialized in Contemporary, Bollywood, Hip Hop and dance fitness classes. I have performed extensively around the US with Dance Identity and also instructed various dance classes with them. I went back to India to participate in a dance reality show ‘Dance India Dance season 3’ where I was among the Top 14 contestants, after which I got the opportunity to work very closely with ace choreographer Geeta Kapur on many projects and tv shows such as Temptation Reloaded Indonesia(Jakarta), Zee Rishtey Awards , Golden Petal Awards to name a few. I am a dancer who thinks by her heart. ‘Dancing’ is what defines me. It’s not just movements created by the body, but the connection one establishes with everything else around. Giving shape to my ideas into choreography gives me the platform to convert my dreams into reality, its like dreaming with my feet. By teaching I intend to pass on not just what I have learnt, but also to promote dance as something beyond just livelihood.